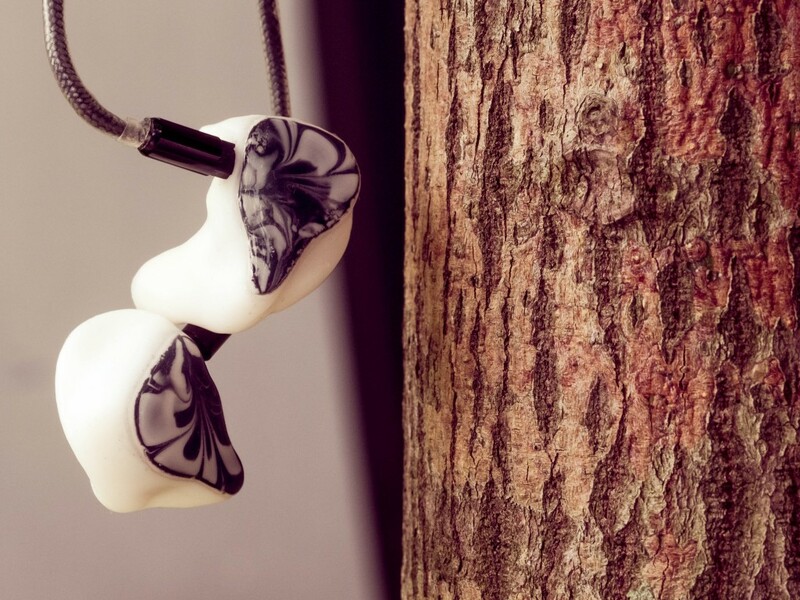 Disclaimer: My scores are awarded after extensive comparisons with different IEMs. The scores below reflect the results of this exercise, and do not indicate my personal preference for one IEM over another. Depending on your sonic tastes, category scores may also be more relevant than the overall score. For example, a basshead should look primarily to the “Bass” sub-section; a soundstage nut should look at “Spatial”, and so on. Finally, the overall scores are an average of all the sub-section scores combined. Read more about how I did these comparisons, and about my overall scoring methodology. The hands can’t hit what the eye can’t see. Mesmerizing. The bass comes in at the absolute top of this shootout in its speed, detail and timbre. It also has nice tightness, although this is not a standout trait. The combination is pretty amazing- because it comes in so fast, you hear the distinct bass layers separate themselves beautifully, creating a textured- albeit lean and swift- sound you’ve probably never experienced before. Best of all, it does so with a tone that’s absolutely spot on. Bravo. If only the H8P merely danced around the ring like a Featherweight; unfortunately, it hits like a Featherweight too. Jab, jab, jab. Winding up for a big hook… Nope, jab some more. In fact, there’s no overstating it, and I’m gonna have to do it again. The bass here is exactly like a jab. Not only does it hit very light, there’s also no follow through at all. Bass decay is swift and sudden, as if the H8P was worried about dodging an incoming counterpunch. Finally, sub-bass is also light as foam, with slam and extension that’s both equally frugal. Such a shame. Beautifully complex decaf coffee is still decaf. The H8P does very well in midrange evenness, clarity and airiness. 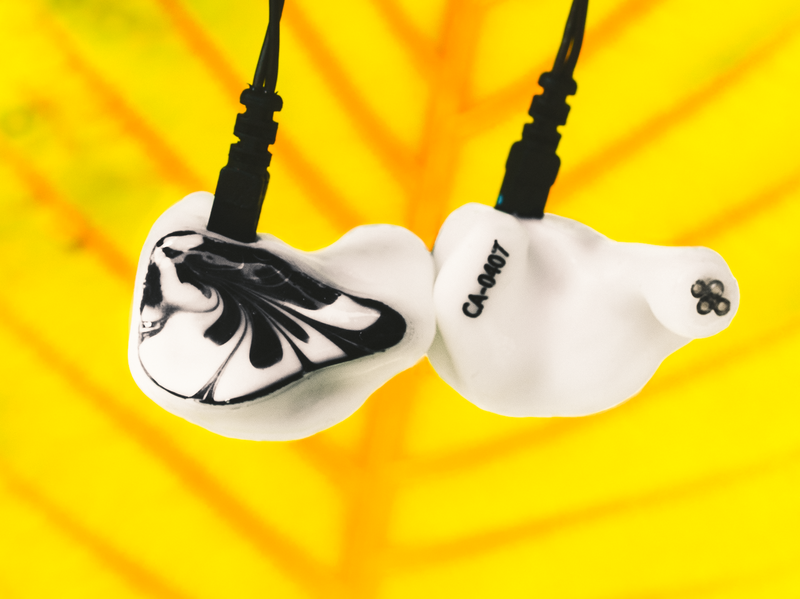 This is a midrange that is quite agreeable, although it’s less energetic than some other mid-forward IEMs, and both detail and timbre could be improved. In terms of detail, you can sometimes hear the midrange gloss over subtle cues that convey great emotion- particularly obvious when playing back singers with raspy voices, for example. On the other hand, I’ve always thought that one journeys down the same silk road to get to the mids and treble, and that these two traits were inextricably linked. Nowhere is this more obvious than on the H8P- the lingering treble tends to affect the timbre of the midrange, which comes across almost as- for lack of a better word- a tad metallic at times. That the midrange still scored so well despite these issues, is really testament to just how good the evenness, clarity and airiness is. The H8P was basically elite in all three categories, although not quite entering the ‘best in class’ category just yet. Anyhow listen closely; past the timbre that could be improved; and beyond the detail that needs refinement; and you’ll hear all these other qualities. But are you one of those lucky ones who can listen past these things? The wonderful treble clarity means that it’s extremely easy to make out high notes on the H8P, which come served with absolutely no veil at all. There’s also great extension, which is a real treat when playing back Electronic music (yummy synthesised treble). Speed, though, the speed. The H8P treble is really quite slow- basically, think about how fast the bass is… Then flip it for the treble. It greets you, hangs around, then stays for dinner. This treble isn’t smooth either- it’s almost exactly how you’d feel with tiny little bee stings- although to be clear we’re talking a little sharp; not ‘throw your IEM against the wall’ bad. So, sharp treble with great clarity, and yet the H8P somehow only scores only “above average” in terms of sparkle. Hmm. Also, despite all these issues, how does the H8P treble still manage to sound quite natural? Bermuda triangle me. The best of all its traits, here it is at last. The wonderful spatial presentation of the H8P. How do I love thee? Let me count the ways. Soundstage size, consistency and airiness- check, check, check. Coherent center image. Check. Err okay actually that’s it. End of a pretty short list, it turns out. But what a list. The quality and quantity of the soundstage here is the second-best1 among all the IEMs I tested, which is no mean feat at all. Music is very evenly diffused throughout the spacious soundstage, and it also picks up air and breathes as it disperses outwards. You’ll find yourself picking out detail from all across the soundstage. Very nice indeed. The problem here is that the precision of this imaging is actually rather weak. Depth-wise, I hear a mostly flat layer, with little distinction. The H8P does do better on breadth and width separation, although even here it grades out as merely above average. The imaging performance was actually quite a shock to me, and I had to come back to this trait multiple times to confirm what I was hearing. After all, one of the first things that strikes anyone with the H8P is this wonderful ‘detail from everywhere’. Turns out, this is not actually indicative of the strength of the imaging- rather, this sauce is special because detail is presented differently on the H8P, getting sent all over the soundstage to be played back. When it comes to the familiar, though- the instruments you know are in that far corner; the voice you remember are two layers back- those just don’t image all that strongly. Prepare to be surprised by micro-detail peeking out from areas you’ve never heard before; and then confused with the way the H8P images the meat and potatoes. The H8P comes in with the highest score in one trait within this category, and the lowest in another. The PRaT on these babies is the best I’ve heard on an IEM- fast and pacy. Just brilliant. Having said that, this is not the kind of mercurial rhythm you’d find in Blues or Jazz. Instead, it focuses on speed, and is so fast that it almost sounds like it has hit the ‘fast foward’ button. I hope you like your music imbued with a dramatic sense of urgency. While the PRaT is a treat, the note articulation is not. The H8P has a distinct thinness of note that comes across as pretty drastic compared to its peers. All in all the music sounds thin and a tad unfulfilling when played back from the H8P, which is a situation not helped by its butterfly-lean bass. Apart from the PRaT and Note Articulation, balance in the IEM is surprisingly pretty good. Let’s see. Lean bass, mids that aren’t forward, and mildly hot treble. And yet somehow it all works well together! Shows you that CustomArt probably knew what they were doing, eh? Finally, rounding out the General Qualities, musical resonance was simply not that good- the sound was a bit too lean and dry; and had little of the pleasing bell-like after-notes that I really enjoy.